Elvis Presley—a voice so singular that he released an album consisting solely of stage banter that peaked at No. 9 on the Billboard Hot Country LPs chart—will be the subject of yet another documentary, this time from HBO Entertainment. Director Thom Zimny and writer Alan Light are teaming up for a three hour, two-film presentation that will follow Elvis from his childhood in Tupelo, Mississippi, through the recording of “That’s All Right” at Sun Studios, Clambake, the leather suit, and the jumpsuits, right up to the Jungle Room recording sessions in 1976 that would be the basis for his final studio album, Moody Blue. Zimny has spent most of his career chronicling Bruce Springsteen; he’s worked on several documentaries about The Boss, including 2010’s The Promise: The Making Of Darkness On The Edge Of Town and 2015’s The Ties That Bind, both produced for HBO. Light cut his teeth working a critic for Rolling Stone before becoming editor-in-chief for both Vibe and Spin. He’s penned books on The Beastie Boys, Prince, and Leonard Cohen. 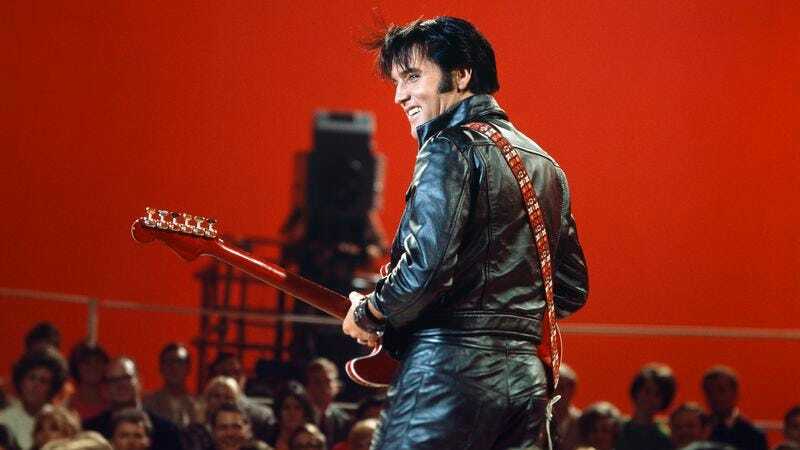 “The producers came to HBO and Sony with the idea for a film drawing upon very rare footage that captures Elvis’ musicianship in a new and exciting way,” Kary Antholis, president of HBO Miniseries and Cinemax Programming, says in a statement. It comes as no surprise that Zimny’s E Street Band documentary is what got him the Elvis gig: “The artistry on display in that footage reminded us of the great work by Jon Landau and Thom Zimny on HBO films documenting the studio artistry of Bruce Springsteen, and we are thrilled to have them at the helm to lend their unique cinematic perspectives to this iconic, complex, and singular artist,” Antholis says. The untitled documentary is currently wrapping production, and a premiere date has yet to be announced. Chuck D is presumably uninterested.